All you have to do is say YES and adventures will come to you! Here’s our Year-End Sale to help you make the most out of your 2016 or for you to have a great start of 2017! 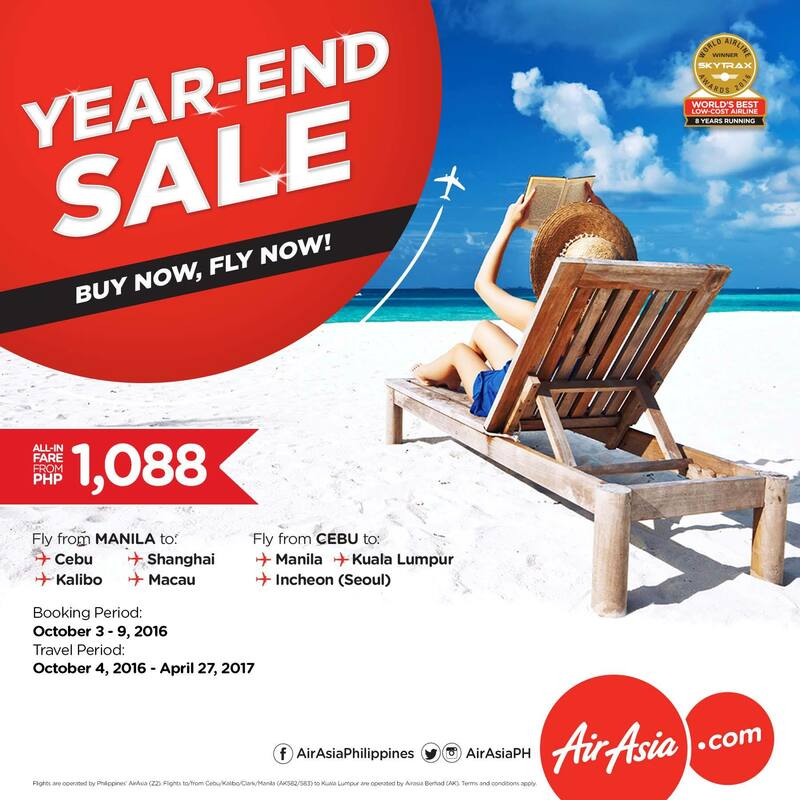 Book our low fares athttp://bit.ly/AirAsiaYearEndSALE!